On February 25, in the small town of Horsham in the United Kingdom, there will be a rare and potentially groundbreaking opportunity for the 9/11 truth movement. Three hours of detailed 9/11 evidence is to be presented and considered in a court of law where the British Broadcasting Corporation (BBC) will be challenged over the inaccurate and biased manner in which it has portrayed the events and evidence of 9/11. Our powerful documentary, 9/11 Explosive Evidence – Experts Speak Out, is poised to take the Internet by storm! It’s now available for sale and streaming on iTunes, Hulu, and Amazon.com. And now we’re asking you to help by reviewing this myth-shattering film on these popular sites, as well as Rotten Tomatoes and Flixster, exposing it to web users around the world! Editor’s Note: New York attorney Dennis McMahon spearheaded the legal effort by NYC CAN in 2009 to compel the New York City Council to initiate a new investigation of the destruction of the WTC skyscrapers. 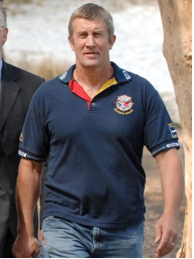 If you would like to support legal actions toward a real 9/11 investigation, write to Gregg Roberts. 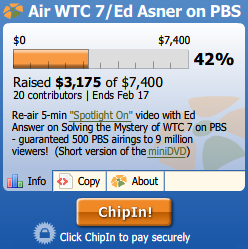 We at AE911Truth reach out as educators and concerned citizens with the physical, forensic evidence that conclusively proves the controlled demolition of the three World Trade Center skyscrapers 9/11. We want every citizen to know, but we especially want to inform people and organizations who have the position and ability to do something substantial to assist us in our quest for justice. Want to help us achieve a new investigation, but you’re not a technical person or a writer? 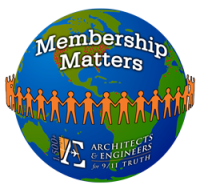 You can still support the mission of AE911Truth in a big way by calling our petition signers and asking them to become members. 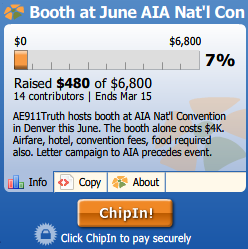 AE911Truth hosts booth at AIA National Convention in Denver this June. The booth alone cost $4K. Airfare, hotel, conference fees, food required also. Letter campaign to AIA proceeds event. 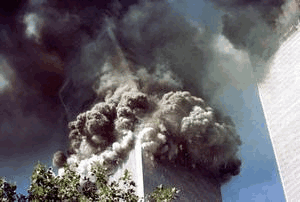 Trailer for the two-hr Research Edition of 9/11: Blueprint for Truth DVD. Learn more about us. 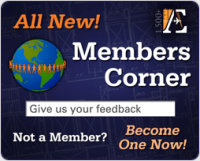 Contact us if you have questions or comments. Copyright © 2013 AE911Truth All rights reserved.